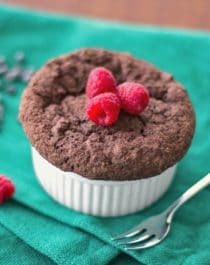 A Healthy Single-Serving Chocolate Microwave Muffin that can be “baked” in less than 5 minutes flat? YOU BET. Mix the batter, pop it in the microwave, dive right in… with no need to share. Really. 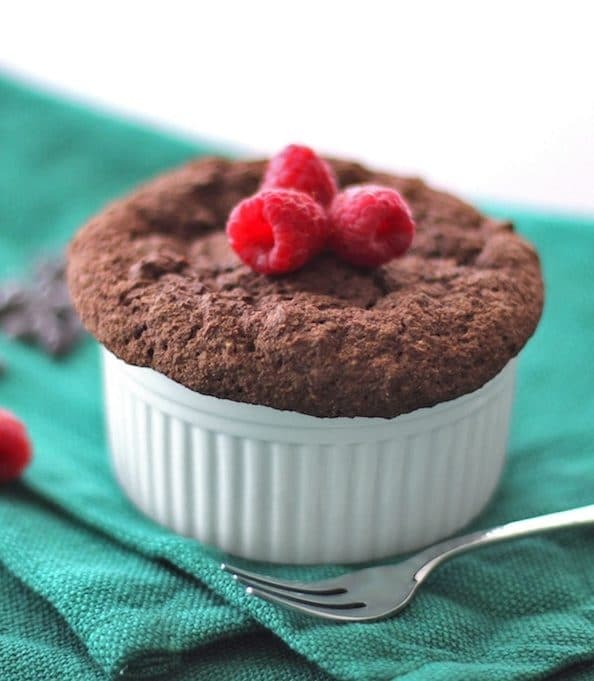 So skip the oven preheating and an insanely long baking time and make the ultimate chocolate muffin — this Healthy Single-Serving Chocolate Microwave Muffin is made with flax, applesauce and oats! A good day will always start with some dessert for breakfast, but an amazing day will always start with a healthy breakfast, such as this one. 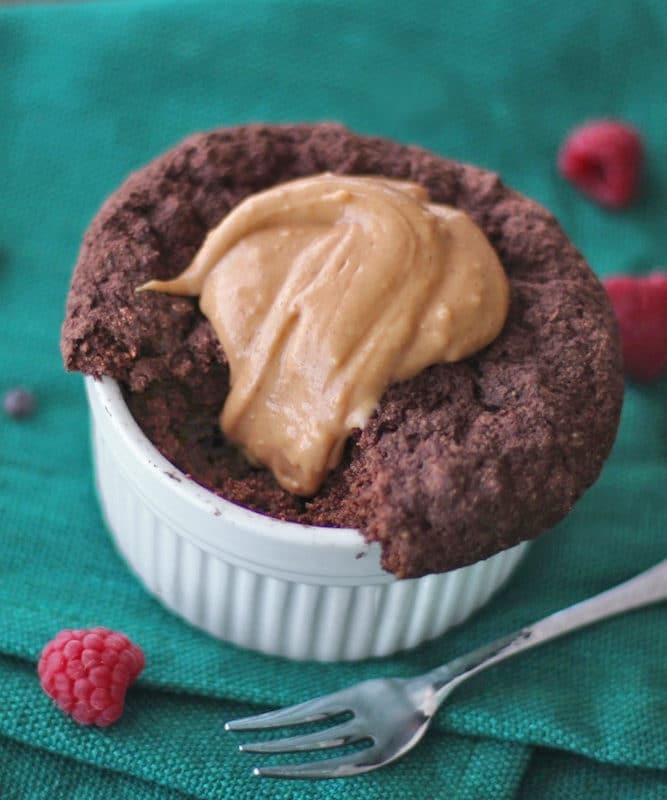 You can make this Healthy Single-Serving Chocolate Microwave Muffin with Peanut Butter Icing in 5 minutes flat! It's guilt-free without the guilt-free taste. Spray a 5" baking dish with cooking spray. In a medium-sized bowl, stir together the flax, almond milk, applesauce, sweetener, and salt. Stir in the cocoa powder, then stir in the oat flour. Last, stir in the baking powder. Scoop batter into the prepared baking dish and microwave for about 4 minutes + 30 seconds, or until surface springs back when tapped. In a small bowl, whisk together all the ingredients until smooth. 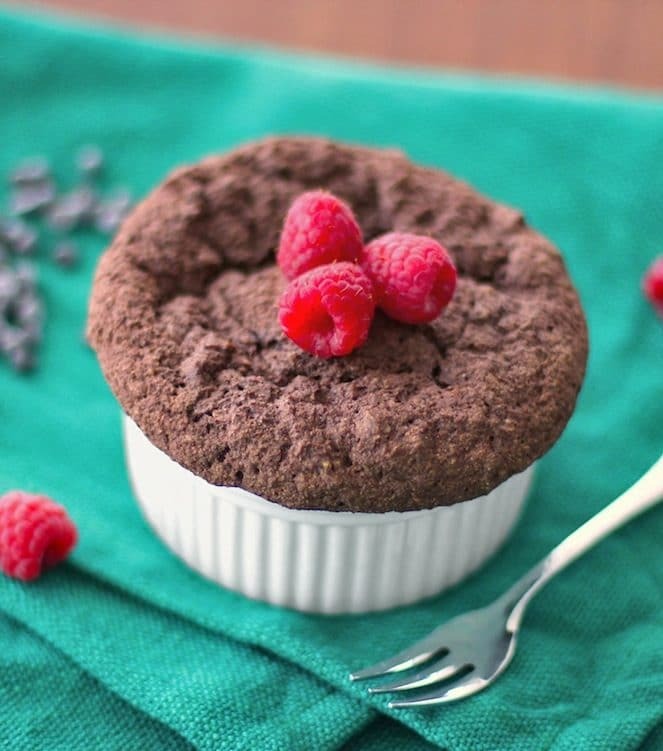 Compared with the Serious Eats chocolate mug cake, which has 860 calories, 58g fat, and 60g sugar (!!! 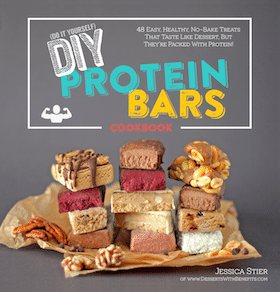 ), this healthified version is the clear winner. 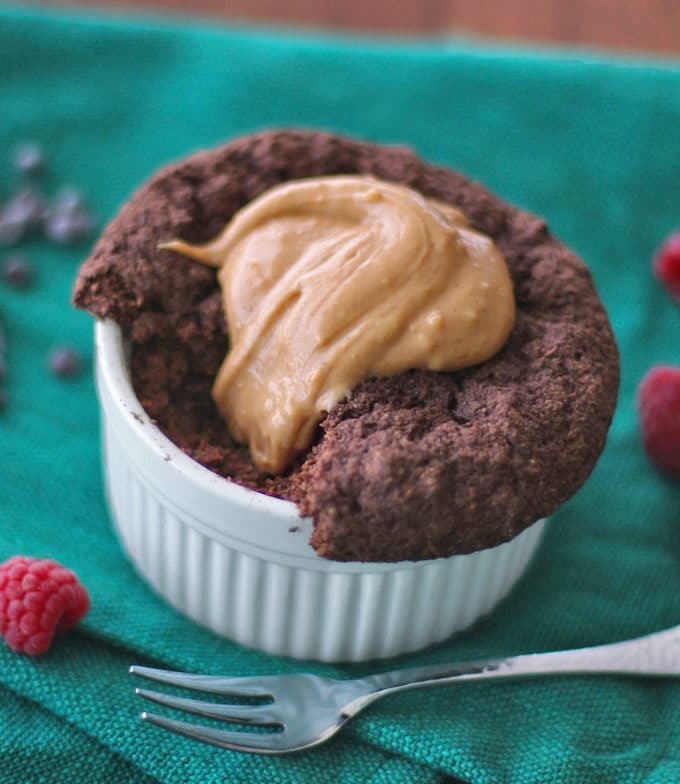 This Healthy Single-Serving Chocolate Microwave Muffin is made for you (and you only!) 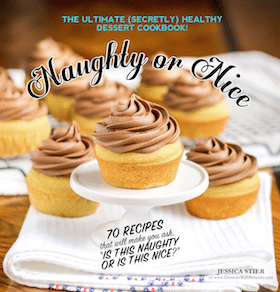 and has just a fraction of the calories, fat and sugar than the other recipes, plus any other muffin you would find at the grocery store or bakery! Make friends with your microwave, because you’re going to be hanging around it for quite some time. I’m so excited to try this! I love all your other microwave muffin recipes, and I make them all the time. It’s so wonderful to be able to enjoy a delicious breakfast that’s healthy! Thank you so much for sharing your recipes! YOU ARE A RECIPE GODDESS!! The icing looks heavenly, I must must MUST invest in some peanut flour!! I had this for breakfast this morning, and it was delicious! I almost felt like I was eating a peanut butter cup! I made a couple of slight changes in the recipe based on what I had, and it worked beautifully. I only used 2 Tbs. of cocoa powder (all I had left), and I substituted soy milk for the almond milk. I’m definitely going to make this again soon. Hi, I have Stevia not Truvia packets. How much Stevia should I use in place of the packets of Truvia please? Thanks! Wow! You are REALLY into self-actualization, aren’t you? Do u ever sleep? 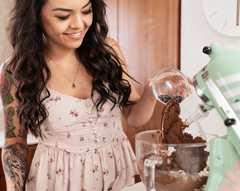 The recipes get better and better and you get more and more gorgeous!! Wow, this is so tasty! I am eating it for lunch with an apple. It is delicious. I made it with home-made oat flour, blending oats in my blender till they were a flour 🙂 , and then it was still so good! Maybe home-made oat flour was a bad idea, but it did the job!